What happened in Chemnitz, Part 8: Wednesday-Saturday, 5-8 September. Sanity rises but is immediately attacked. 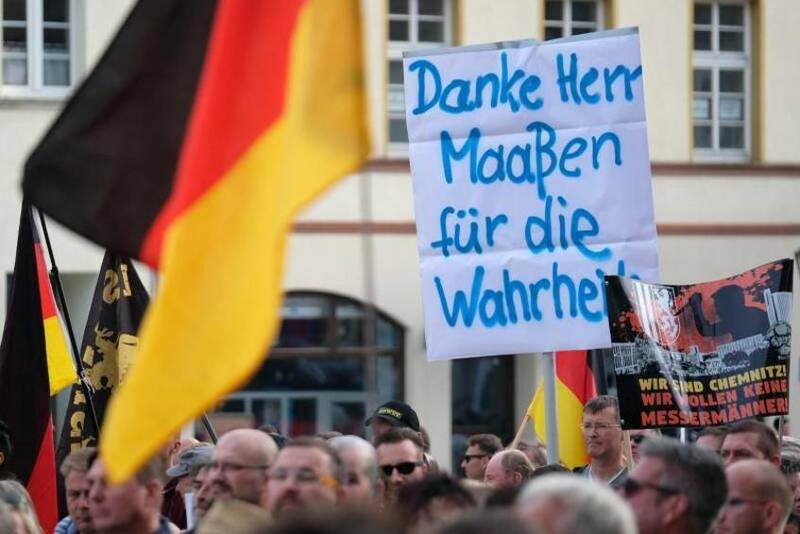 There was no mob, there was no “man hunt”, there was no pogrom in Chemnitz. These are words that do not properly describe what happened there. By denying the fact of “man hunts”, Kretschmer, who belongs to Angela Merkel’s CDU party, directly contradicted what Merkel and other members of the Federal Government stated earlier. Clearly, the important thing for Stegner was the continuing “fight against the Right” and not the truth or falsity of the declaration by the Saxony Government. 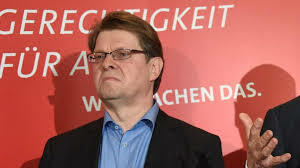 By now a handful of media outlets—the Freie Presse and the Neue Zürcher Zeitung—as well as the State Prosecutor of Saxony and the Saxony Minister President denied the allegations of wide spread “right-wing mob” violence and of “man hunts” perpetrated against foreigners. But most of the rest of the media and most of the establishment politicians, in particular within the Federal Government and the left section of the political spectrum, stuck to those allegations. On this day the Bild Zeitung published an interview with Hans-Georg Maassen, the President of the Federal Office for the Protection of the Constitution, Germany’s domestic security agency (the “Verfassungsschutz”). I share the skepticism towards the media reports on right-wing extremist man hunts in Chemnitz. There is no evidence that the video circulating on the internet about this alleged incident is authentic. After my cautious assessment, there are good reasons to assume that it is a targeted misinformation in order to possibly distract the public from the murder in Chemnitz. If one checks the Twitter profile of Johannes Grunert, whose testimony about “man hunts” Die Zeit uses as evidence, one sees an apparently far-left person, who constantly tweets against the “Right”, whose logo says “Asylum is a Human Right” and who retweeted a tweet by Antifa Zeckenbiss, the far-left group which published the “Hase, du bleibst hier” video critized by Maassen. 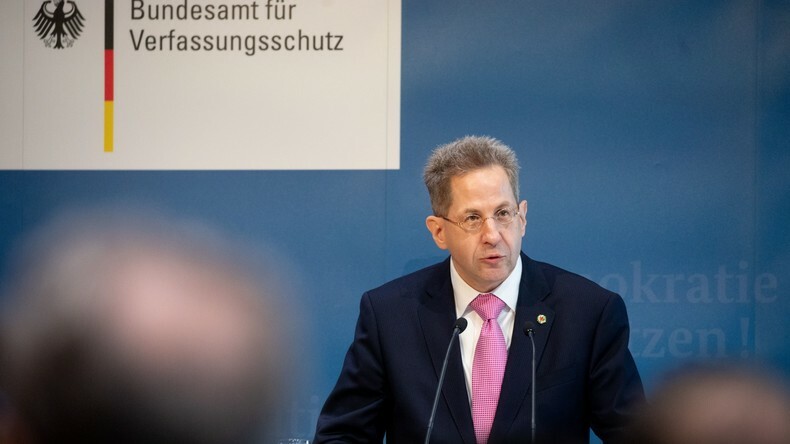 Politicians on the German Left attacked Maassen immediately and viciously for his statements. Saturday, 8 September: Maassen under attack. The fact that Maaßen doubts the man hunt for foreigners in Chemnitz and assumes targeted false information, without prompt evidence, was irritating … With such statements he evokes the suspicion that he protects right-wing extremists. 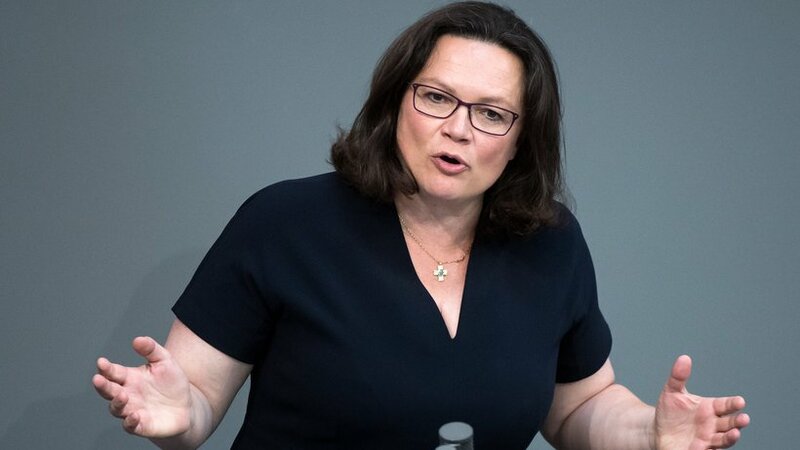 Andrea Nahles, the leader of the Social Democratic Party (SPD), expressed doubts not only about the suitability of Maassen for his job, but, for good measure, also about the suitability of Maassen’s boss, Horst Seehofer, for his job. Seehofer, who belongs to the CSU, the third party in Merkel’s coalition Government, is the Minister of the Interior. Andrea Nahles, leader of the SPD. Maassen did not choose his words carefully enough. He doubted the authenticity of the “Hase, du bleibst hier” video. Of course, he had a point: the video was published by the far-left group “Antifa Zeckenbiss” (“Antifa Tick Bite”). And of course, this group was highly motivated, like the whole leftist media and leftist politicians, to derail the discussion from crimes committed by asylum seekers and to make it all about “right-wing violence”. The focus on the video’s “authenticity” was the problem. Maassen probably should not have paid any attention to the “authenticity” issue, certainly not before making sure that there indeed was an authenticity problem. Instead, he should have focused on the uselessness of the video—whether authentic or inauthentic—in proving “man hunts” and also on the lack of other evidence for these. The way it happened, the table could now be turned by leftist politicians and they used their chance at once. Instead of the leftist media and politicians having to provide proof for “man hunts”, they demanded from Maassen to provide proof about the lack of authenticity of a 20 second video. Maassen’s suspicion that the video could be used to distract the public from the murder in Chemnitz was realized beyond the wildest dreams of the Antifa: it didn’t only distract from the murder of Daniel Hillig, but also from the lack of evidence for the infamous “man hunts” and wide spread “right-wing mob violence”.